The High Court is today expected to rule on former Health and Child Care minister David Parirenyatwa’s case in which he is seeking an order to stop his prosecution, arguing the charges levelled against him were fabricated. Parirenyatwa is before the courts facing criminal abuse of office charges after he reportedly interfered with and prejudiced the National Pharmaceutical Company of Zimbabwe (NatPharm) of $15 003. “This application has been brought on the basis that there has been a violation of the applicant’s right to a fair trial within a reasonable time and it is the violation which entitles him to an order of permanent stay of their prosecution. 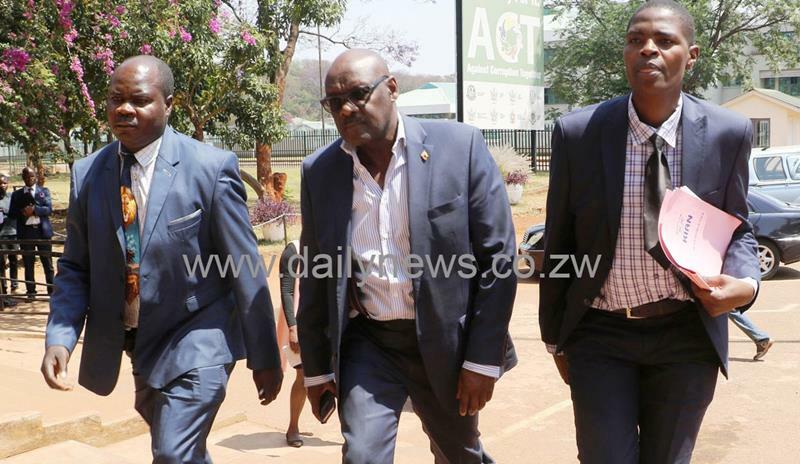 “The applicant in this case submit that there was a violation of his constitutional right to a fair trial in terms of Section 69 (1) of the Constitution of Zimbabwe, 2013 hereinafter referred to as the Constitution,” Parirenyatwa said. He said the High Court has powers to grant the relief that he is seeking, because it has the original jurisdiction over all civil and criminal matters, has jurisdiction to supervise magistrates’ court and other subordinate courts and review their decisions as well as power as may be conferred to it by an Act of Parliament. “A clear analysis of the facts of this matter will clearly show that the criminal justice system is being used to fight political battles, it is being used to serve ulterior motives of others responsible for law enforcement. “This prosecution should therefore be stayed so as to ensure that the court’s credibility is not compromised and that there is clear separation of powers that is not questionable for this court has rightly reiterated in several cases that justice must not only be done but must be seen to be done,” he said. He said the court must also consider his societal standing, considering that he is a former Health and Child Care minister. “The applicant’s social life and work has been and continues to prejudiced whilst the charge is hanging over his head. “The continued subjection to the uncertainty of how the criminal charge against him will pan out is also enough reason to affect the appellant’s emotional and mental well-being, which is neither a fair, right of legal thing to do, on the part of the State that has failed to prosecute its matter,” the court was told. The State has not yet responded to the application.